When it comes to possums, looks are deceiving as these seemingly cute and harmless creatures can cause quite a bit of trouble when they invade your home. They will make a lot of noise as they go about their business inside your home as well as pose a health risk to both your family and pet as possums can spread a number of illnesses through their urine and excrement. Possums will also wreak havoc in your garden by munching on your decorative plants and vegetables. It’s their liking for plants that has been posinga great risk to regenerated forests all over Australia. But since they are true omnivorous, brushtail possums will also feed on snails, frogs, rodents, birds as well as their eggs, snakes and other small creatures. Possums can also chew on electrical wiring when they get into your home causing electrical faults that are expensive to fix as well as a fire hazard with all the naked wires. Smaller pests such as ticks and fleas could also be living in their fur and could be introduced into your home by these unwanted intruders. Even with all the problems they cause, possums are a protected species which means it is illegal to cause harm to these creatures – even when they invade your property. Trapping for eviction is still allowed, however, in most areas but permits could be required in others. Traps. 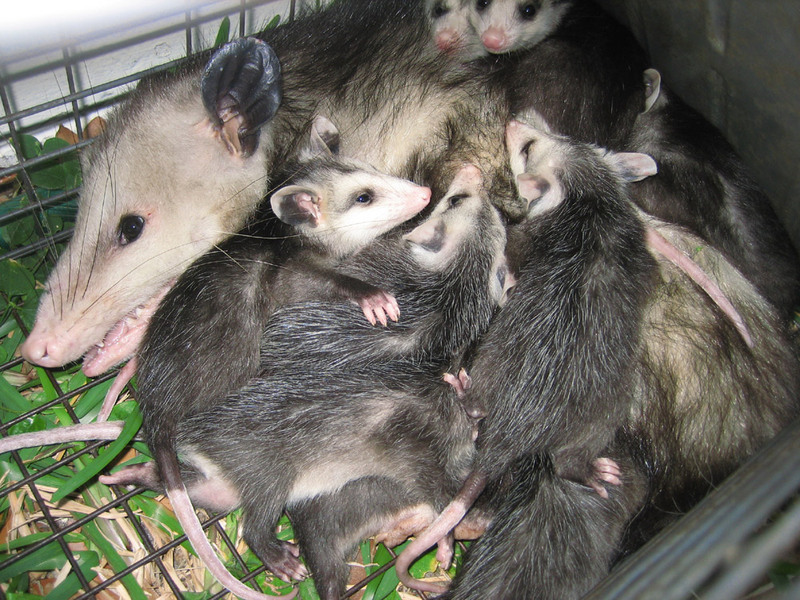 Live traps that are not harmful to possums can be used to evacuate possums from your home. Traps are humane, effective and quite easy to use making them ideal for DIY pest control. Some of the baits you can use for possum traps include fish flavoured cat food (if there won’t be any wandering cats near the trap), chicken eggs, melon, overripe grapes, and bananas. Make sure to check the trap at least twice a day (in the morning and evening), so that you can relocate and release the trapped possum before it suffers harm. Motion activated outdoor lights. Being nocturnal, possums are not very fond of bright light and will flee back into hiding if exposed to it. Install these to keep stubborn possums out of your yard. Electronic repellers. These scare away possums using a combination of a powerful strobe light and ultrasonic sound. Ultrasonic sound is high-frequency sound (ranging between 15-25kHz) that is inaudible to humans but extremely annoying for possums. These devices are typically motion activated and designed for outdoor use – thus ideal for protecting yards and gardens. Water jet repellers. These work in a similar way as electronic repellers in that they are motion activated. Instead of using a strobe light and ultrasonic sound, however, these devices use a water jet to scare off intruding animals. They are ideal for protecting yards and gardens. Even though possums are a government protected species, there are effective ways of getting these stubborn critters away from your home without breaking the law. Use any of these methods or a combination of several to get rid of possums in your home.